Unicorns will be flying at your little one’s birthday party when you decorate it with this Magical Unicorn Balloon Bouquet! 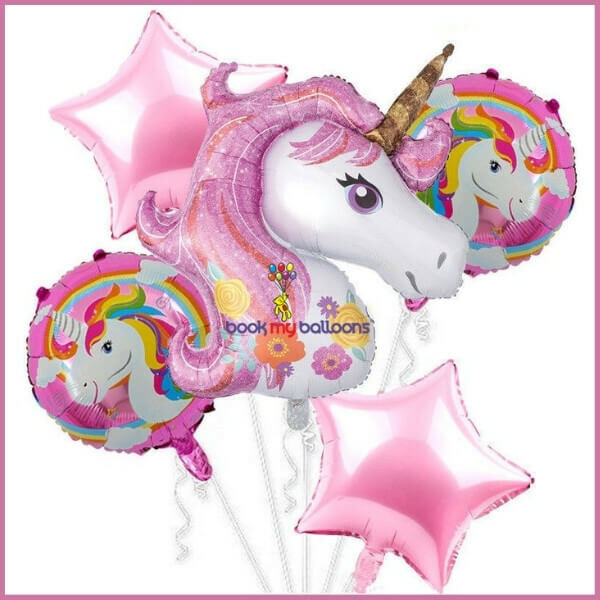 This balloon bouquet includes a large foil balloon designed like a unicorn’s head, two round balloons featuring unicorns surrounded by colorful designs, and two pink star balloons. Your child’s birthday party will look magical with this unicorn balloon bouquet!